This week is filled with hunting strategies! We reveal a secret weapon for early and mid-season hunting. Plus, our new method to maintain that secret weapon for years to come. Watch as we share techniques to hunting small properties in cattle county. See deer in season when your neighbors aren’t! Test your eye! Can you spot the hit list buck in this clip? Want to know why we let deer reach maturity? 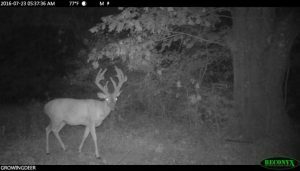 Adam walks us through the development of an impressive buck we call Handy. Back it up! 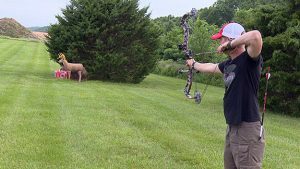 Once you master the close range shots, step back and gain confidence at longer distances, extending your range this season!